We first noticed South Mountain Yachts in our marina several years ago. offer assistance with new boaters etc. Just a genuine person to talk with. Never expecting anything he just built relationships and a rapport with the tenants. over the past 12 years we looked at who had been in business and who was still in business. 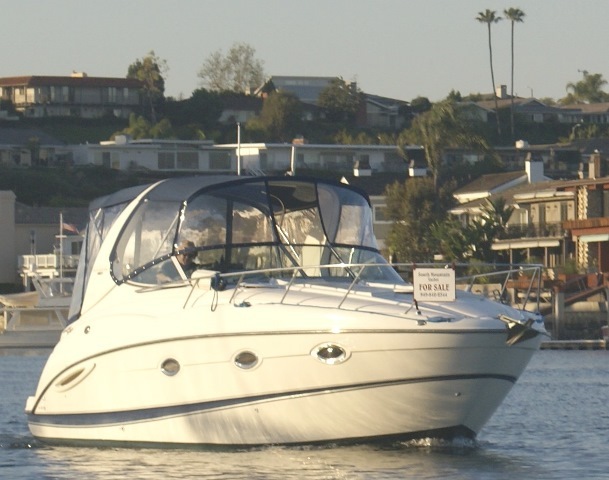 South Mountain yachts had weathered all the ups and downs and seemed to be a solid choice. Lou the owner on selling our boat. Everything Lou said made absolute sense. work should be done to ensure the future owner was making a good purchase. owner’s and maintainer’s and have nothing but great comments every season on the water. Lou educated me that although our boat was “Virgin” that would not matter to potential buyers. The boat needed to be presented in a neutral manner for others to picture how they would own it. This was a surprise to myself. Nonetheless this worked. We were told the average market time for boats is just under a year. Doing exactly what Lou asked us to do a family found our boat exactly what they wanted. his wife saw our boat the deal was pretty much done! From the beginning to the end Lou was with us taking pictures and videos, prepping the boat and dealing with the buyer’s broker to ensure all parties were satisfied. My wife and I would consult and use Lou’s services on our future purchase as well. Great job South Mountain Yachts!!!! !